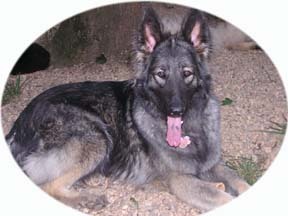 Dolly is our beautiful Sunny/Bello daughter from the 2002 litter. 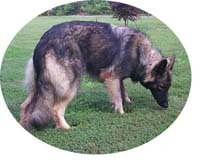 She has a sweet, sometimes reserved temperament. She loves to cuddle while we watch TV. Dolly tests Normal for thyroid and pancreas. 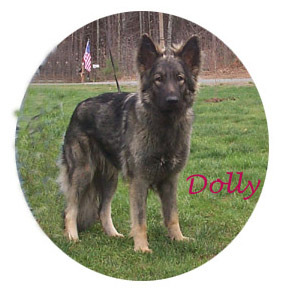 Dolly has a gorgeous gray sable plush coat like her dad. She's also a non - NB. 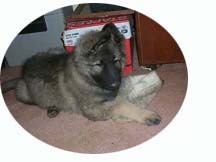 There were only two puppies in the 2002 litter and we kept them both.